International Award Qualifying Journey at Les Fers, September 2016. Deer at Bois de Prafandaz Forest Plot (BPFP) on 10 November 2016. Enjoy select wildlife photos from LETS camera traps here. 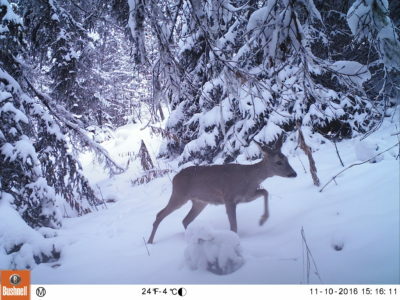 Google Drive folders of camera trap photos from LETS plots can be viewed by LAS accounts here. Below you’ll find links to photos from Alpine Club and International Award trips, plus Mountaineering and Outdoor Activities, LETS days, GLOBE Day, and more from various Alpine Institute programs at LAS. One-minute video of International Award Adventurous Journey October 2017.